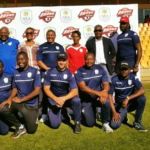 The Namibia Football Association (NFA) opened up the players’ registration and transfer window within the leagues in the country as the Namibia Premier League (NPL) concludes the first round of matches. The Premier League and certain second division leagues are in action and the NFA has now opened the window of player’s registration, transfer and loans as clubs will seek to reinforce their squad for the remainder of the 2018/2019 football season. The players’ movement period opened on Monday, 11 March and will end on 05 April 2019 with all the paper work to be certified by the NFA Competitions Department. The NFA secretariat advises clubs that no extension will be granted, and urged clubs to thoroughly make use of it as this is the final time to make changes and It is a requirement for every player to have a national identity number in order for him/her to be registered as it will for form part of a player’s a unique player’s registration number. Clubs are also advised to note that only player’s passes received on or before Wednesday, 12:00 will be validated in order for the player to participate in matches scheduled for the upcoming weekend, while those submitted after Wednesday, 12:00 will be processed for the following week’s matches. NFA By-law No.1 is applicable during the registration period; the clubs are advised.